Dubai, United Arab Emirates; June 05, 2014: It’s the time of the year again when we celebrate the men who have worked relentlessly to make life beautiful for their families! Father’s Day is a great time to show appreciation to our dads who humbly make sacrifices and do a lot of hard work especially for his children. Gift ideas abound but if you are looking for something different to give to your father, husband, or to an extraordinary dad you know, why not give him the gift of good health this year? 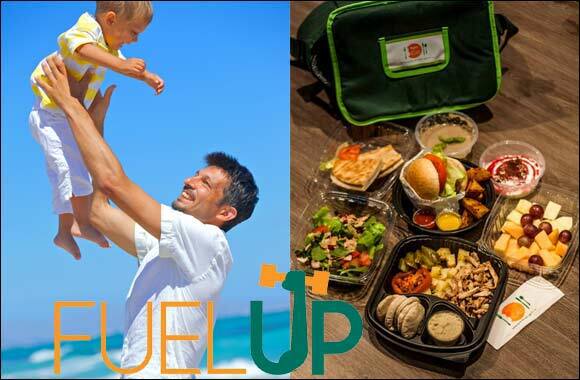 A pioneer and expert on customised healthy meal deliveries, Right Bite is offering ‘FuelUp’, a perfectly suitable program that will benefit every father’s health and well-being. FuelUp is designed for individuals who want to increase in muscle mass, reach a desirable per cent body fat as well as ensure they are getting the right nutrition to achieve peak performance. Whether you want to bulk up or get lean, Right Bite’s FuelUp program balances carbohydrates and proteins to maximise the nutritional intake your body needs for peak performance. The Right Bite Nutrition Centre is located in the heart of Dubai, with telephone numbers +971 4 3388763 and +971 4 3425208. It also operates in Abu Dhabi, with a satellite office located at The American Surgecenter, 26th Street, Villa 408, Al Rawdah Area, telephone number +9712 4430909.